The traditional informal Snow Meeting and the Vilnius Forum of Intellectuals began on 15 January. 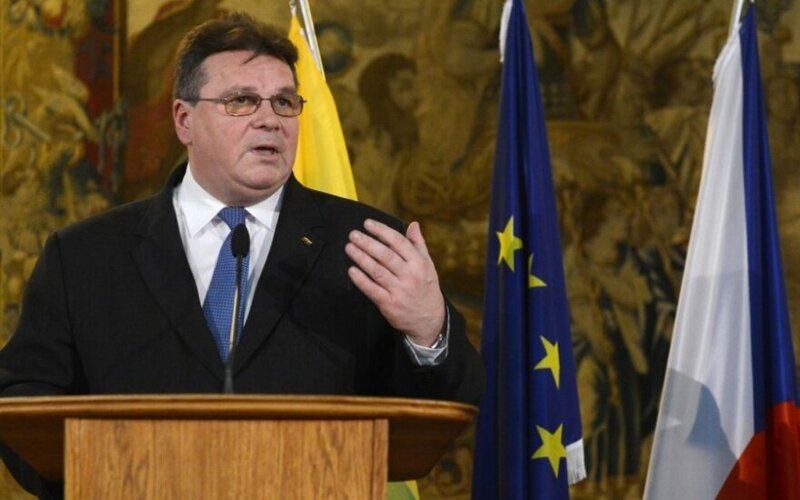 At the opening of the Forum, Lithuania’s Minister of Foreign Affairs Linas Linkevičius stressed the importance of dialogue with the Russian society. “Russian aggression against Ukraine has fundamentally changed European security situation. This raises concerns, especially to the neighbours who wish to see a democratic, peaceful and prosperous Russia. European values and an opportunity to live in a democratic society are, beyond any doubt, also very important for the people of Russia. Therefore, the dialogue with Russian society is especially important and should be developed,” said the minister during the opening of the Vilnius Intellectuals Forum. Almost 70 participants attend the Forum, including Mikhail Kasyanov, former Russian prime minister, Russian academics and researchers, such as Lilia Shevtsova, Andrey Piontkovski, Andrey Ilarionov, Andrei Zubov, journalists and public figures. The participants of the event observed a minute of silence to honour the victims of the terrorist attacks in France and Ukraine. On the same day, Linkevičius opened the traditional 8th Snow Meeting, which as every year has brought together politicians, officials and international security experts. The participants debate on how to protect Western society and values from Russia’s aggressive efforts to redraw the map of Europe, how to set up the relationship between the West and Russia, how to help Ukraine, Moldova, Georgia and other countries to overcome Russia’s pressure and to continue pursuing Euro-Atlantic integration. At the opening of the Snow Meeting, Linkevičius conferred the award of honour of the Ministry of Foreign Affairs – Lithuanian Diplomacy Star – on Swedish politician, former Minister of Foreign Affairs Carl Bildt for promoting the Nordic-Baltic cooperation. Snow Meeting will be attended Mikhail Khodorkovsky, who will deliver the inaugural address. The meeting will also be honoured by Urban Ahlin, the Speaker of the Swedish Riksdag, Edgars Rinkēvičs, Foreign Minister of Latvia, Keit Pentus-Rosimannus, Foreign Minister of Estonia, and Miroslav Lajčák Foreign Minister of Slovakia, representatives of the U.S. Department of State and the administration of the President, NATO Deputy Secretary General, officials of the EU and NATO member states, as well as international security experts from analytical and research centres. The event that has gained international recognition brought together more than 60 famous foreign and Lithuanian politicians, officials and experts. President of Lithuania Dalia Grybauskaitė received the participants of the Snow Meeting and the Vilnius Intellectuals Forum on 15 January. On 16 January, the participants of the Snow Meeting and the Vilnius Intellectuals Forum will continue their discussion in a joint event at the Merchants House in Vilnius.